Searching for the best Latin food near Passiac, NJ? Between Dominican, Peruvian, Cuban, and more, there’s no shortage of options for hungry residents. If you’ve been exploring the best restaurants in North Bergen, then you’re sure to love this selection of Latin food in Passiac, NJ compiled by Richard Catena Auto! Mama Elena’s recipes originated more than 100 years ago in a little village in the Dominican Republic, and you won’t find more authentic flavor elsewhere. Try the Mofongo, which is a classic Dominican dish served with fried plantains mixed with garlic and adobo and your choice of fried cheese, chicken, or pork. There’s also the Longaniza Frita, which is fried Dominican sausage served with rice, beans, and salad. With various locations, Rumba Cubana brings Cuba right to New Jersey. Get lost in the Cuban music as you try dishes such as ropa vieja (thinly shredded beef simmered with tomatoes and onions), picadillo (Cuban-style minced ground beef), and more. El Gordo Restaurant is family-owned and operated and promises the best in traditional Peruvian cuisine in Passiac, NJ. Sip chicha morada as you sample the likes of polla a la brasa (Peruvian rotisserie chicken), lomo saltado (sautéed beef or chicken), ceviche (fish marinated with lime juice), chaufa (Peruvian fried rice), and more. RJM Ranch BBQ offers a unique fusion of Portuguese staples mixed with traditional Salvadorian food. Try a pupusa (thick corn tortilla stuffed with a savory filling), or grilled Portuguese meats. Traditional Colombian food is the name of the game at Noches de Colombia. Try an arepa con queso (corn cake with cheese), pechuga a la plancha (grilled chicken breast), carne molida (Colombian-style ground beef), or churrasco (grilled flank steak on a hot plate). 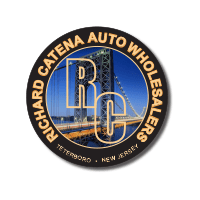 Connect with Richard Catena Auto for additional recommendations on the best restaurants near Passiac, NJ, or to discover the 10 places to visit in Paterson, NJ. No matter where you’re headed to the area, we’re sure you’ll be making a statement based on your car color!